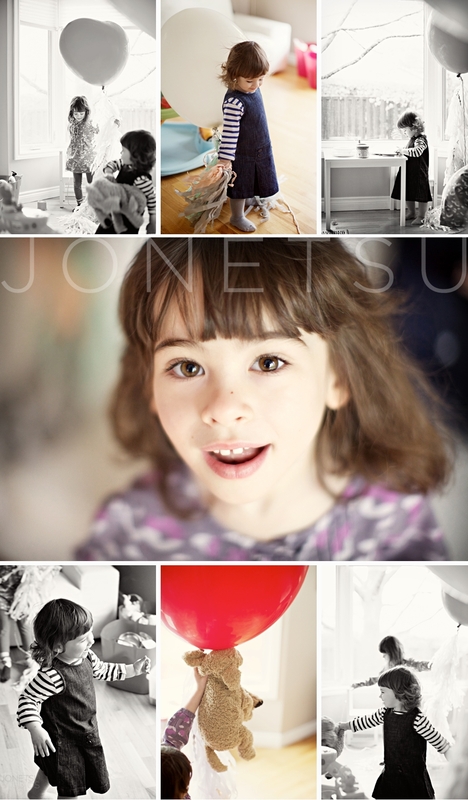 BALLOON REDUX: FROM ENGAGEMENT SESSION PROPS TO THE LIGHT IN A KID’S DAY! Julie and Eugene said, “Why don’t you give these balloons to your friend’s little ones?”. Little Margeaux and Alexia were both so sick at the time, poor little Parisian monkeys. 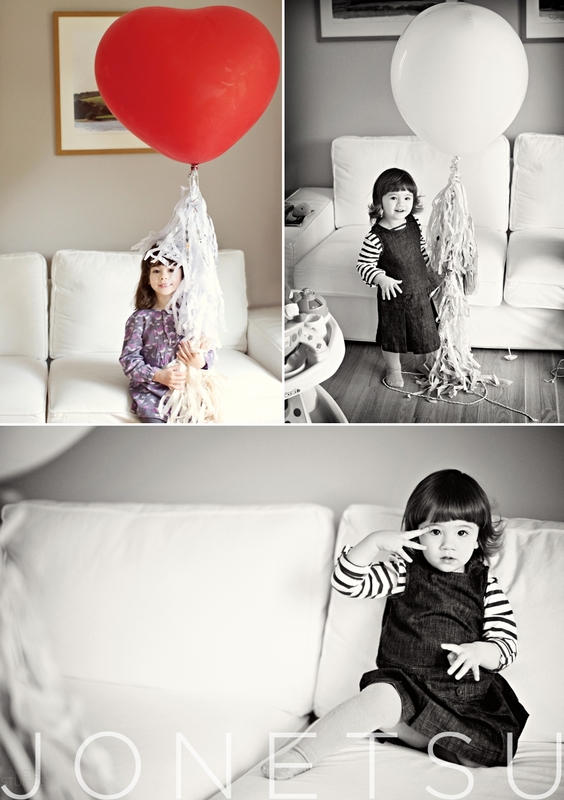 When we presented them with the balloons, they were over the moon and played and played for hours. Thank you, Eugene and Julie! OMG adorbs!!!! I love how Parisian their outfits are!!! Too cute!!!! We met Julie and Eugene at her sister’s wedding last year (Hi Janice and James!! ), and I have to say, I haven’t met a group of sisters that light up a room like these Mac ladies. Just look at Julie’s smile- what a stunning, natural beauty- and together, these two are sweet and hot at the same time! So sweet. I think Eugene and Julie would have fun together in any situation they find themselves in through life: a key component to any successful marriage. If a gust of wind blew through, I believe it would have carried them off to the clouds! Eugene is a total romantic and proposed to Julie on a picnic. They LOVE to picnic! They are also total goofs which make us adore them even more! This single tree in a field was calling us. How can these shoes not get their own photograph? C+C: These images are more than we could as for!!! You made us feel such as ease and we virtually forgot about the cameras! We’re so glad everyone can see Ottawa in such a beautiful way:) Can’t say it enough…you guys ROCK!!! The way Amy and Brian treat each other is so sweet. Gentle touches and a genuine care for the other’s well being. Don’t get me wrong- there is a lot of heat there too!! During our consultation for their engagement session, Brian and Amy communicated their passion for all things Vancouver, specifically cherry blossoms (we got the last of them yay!) and the character of the cobblestone streets of Gastown. The weather held up for our long awaited session and we had a great time together! Loving Amy’s print dress! Pink magnolias: such fleeting beauty. This shoot was so Riley and Sarah. Time spent back in their BC home is minimal these days as they work tirelessly on their early careers in the medical profession out of Province. I’m grateful that there are people with hearts as kind as these two who decide to dedicate so much of their energy and lives to helping us all in our times of need. Riley is a complete gentleman. Nice back yard. Less work than grass, yes? Their signature embrace: we expect to see this lots on their wedding day! We are so excited to see these two marry!! Geneve from DreamGroup is planning the big event(s) so we know it will be a smooth and spectacular day! We’ve already had the chance to meet Sarah and Riley’s sisters (Hi, Ladies!!) so we’re really looking forward to meeting the rest of the family and the folks lucky to call S&R friends. Wow…these are so beautiful. The images are amazing and the couple adorable. Can’t wait to see their wedding photos. Beautiful! Love their story and also how comfortable and relaxed they look. So cute! A very intimate approach, yet some great use of space outdoors. Love the house. Special thanks to the kind folks (whoever you are) that nominated us for Vancouver’s top ten newborn baby photographers among 200 submissions- that was a surprising and nice notification to receive 🙂 The nine other photographers on the top ten list are fabulous and produce lovely work! We’re currently in the midst of studio renovations to accommodate more portrait clients and some very unique photographic offerings. I’m confident that there will be no where else in Vancouver to achieve the particular light & style-infused looks we’re working so hard on… it’s been over a decade in the making, friends! For now, the loft is a mess and it’s been challenging to meet with clients. I’m thankful that people have been very understanding. The washroom has been taken down to the studs, too. We keep saying “just breathe, baby!”. Wonderful candid shots, just beautiful!